Hay fever is never fun. Dust and pollen during allergy season wreak havoc on sufferers, causing the mucous membrane of their eyes and nose to become itchy and inflamed – leading to watery eyes and runny noses. It’s also doubly frustrating because, during the winter, hay fever sufferers can also get colds that give them the same symptoms they suffer in the summer! They just can’t catch a break! 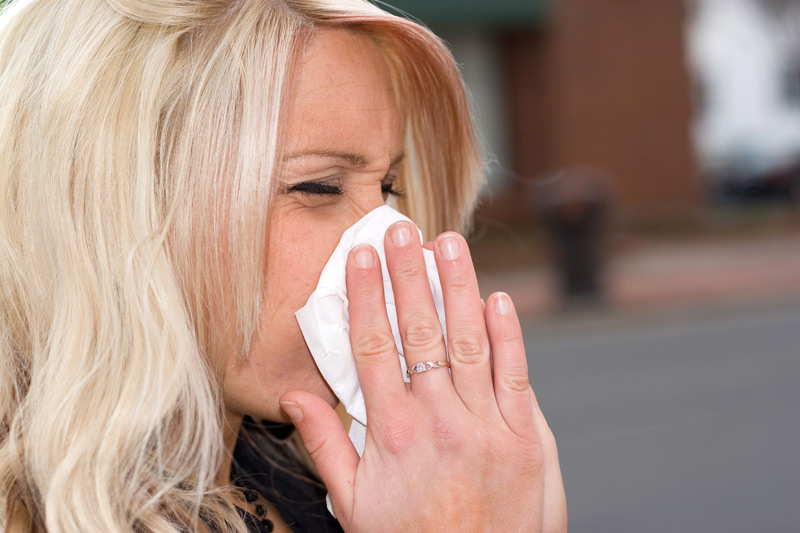 So how can hay fever sufferers protect themselves against these symptoms? Here are six hay fever hacks that should help you out! Understanding hay fever will allow you to take control of your symptoms and some of the effects that it leads to. When you ingest pollen, whether in your nose or your eyes and you have allergies, your body reacts by thinking it is under attack. If you have ailments such as asthma, this can make the situation even worse. Learning about symptoms before you get them can help you stop them. Nowadays, you do not just have to leave it to chance regarding whether or not the day is going to be a bad allergy day. You can look up pollen forecasts online before you go out, which will let you know if it is a good idea to take an antihistamine before you leave your house. There are a variety of treatments that you can take before allergy season that helps you combat symptoms. Immunotherapy and desensitization are both excellent methods to help you combat allergies. Whether you get injections, drops, or pills, preparing for allergy season before it happens will keep it from overwhelming you. While it may seem obvious, try to avoid places that have a lot of pollen. Instead of going for a run in your local park, consider going to a gym and running on the treadmill instead. If you can’t avoid going to the park or somewhere else where there will be a lot of pollen, then take an antihistamine first. There are a few things that you can do to help keep allergens out of your home. Keep your windows and doors closed, take your clothes off and change into indoor clothes immediately upon getting home, wash your face to get any lingering pollen off, invest in an air purifier, and regularly vacuum. This is not just because during allergy season many alcoholic beverages are consumed out on patios and in backyards. Your body produces histamines when you have an allergic reaction, which causes the symptoms you get. Alcohol contains histamines, which can aggravate your symptoms, so you should maybe pick that virgin pina colada. If your allergies are getting to be too much for you to handle, then come into MacDonald’s Prescription #3. Our Vancouver drug store has the expertise and products that you need to take control of your allergies. Don’t let hay fever win this allergy season. Come into MacDonald’s Prescription #3, and we will get you equipped for the upcoming allergy season!